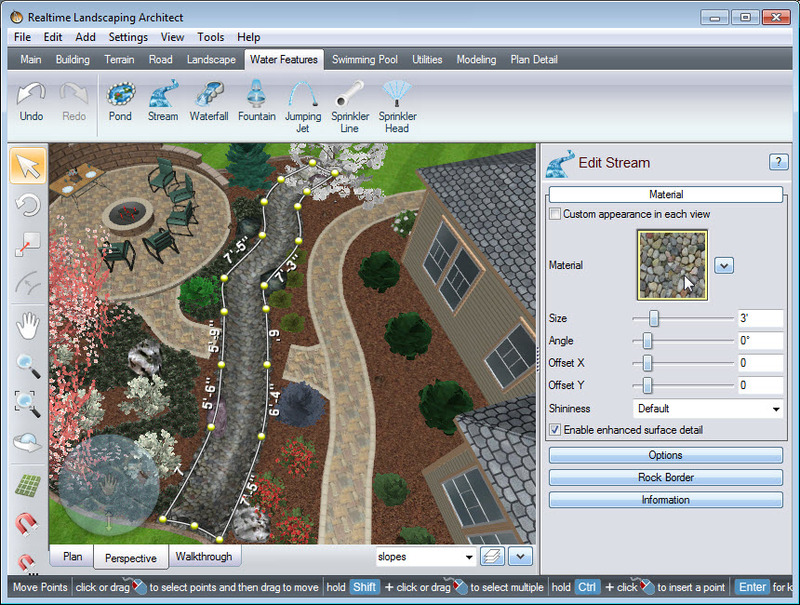 This guide will show you how to add a stream to your landscape design. 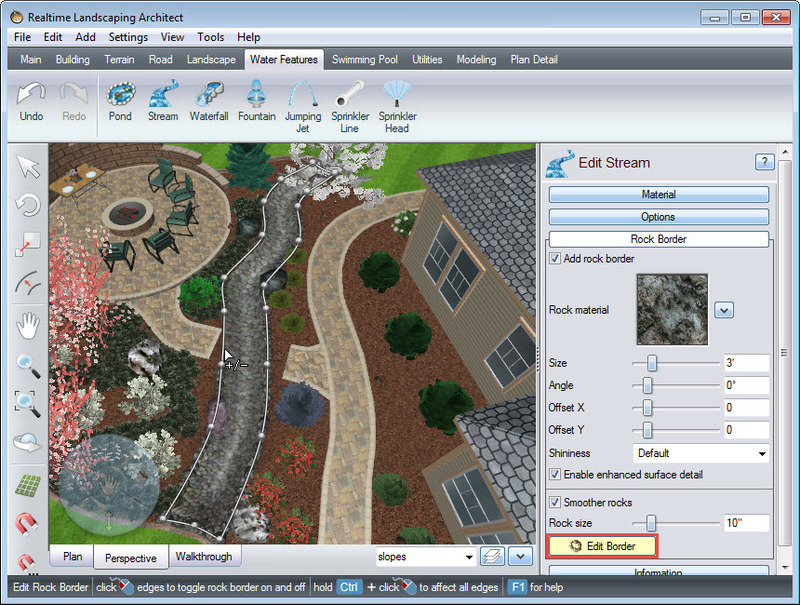 First, click the Water Features tab, then click the Stream button. 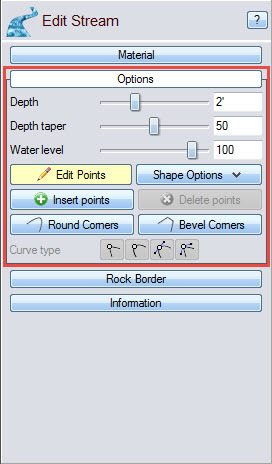 Left click to place points and this will create the shape of your stream. Right click to place the last point. To change the stream’s fill material, click the fill material image seen above. 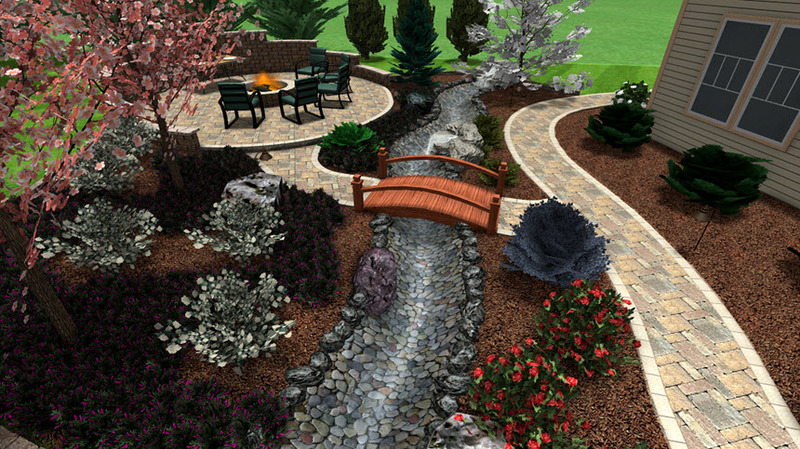 It will take you to a large selection of different fill materials including some from national brands Belgard, Eldorado Stone, R.I. Lampus, and Unilock. 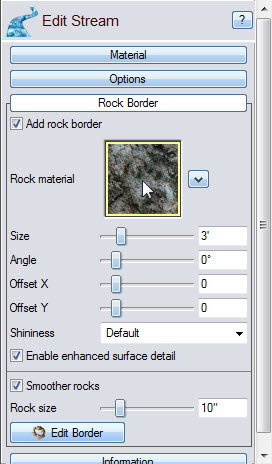 Make your selection, then click OK.
To change the material of your rock border, click the rock material image seen below, make your desired selection, and then click OK.
To change the size of the rocks in your rock border, use the slider seen below, or manually input the size in the space provided. You can remove sections of the rock border by clicking the Edit Border button, and then Left click on the section you wish to remove. 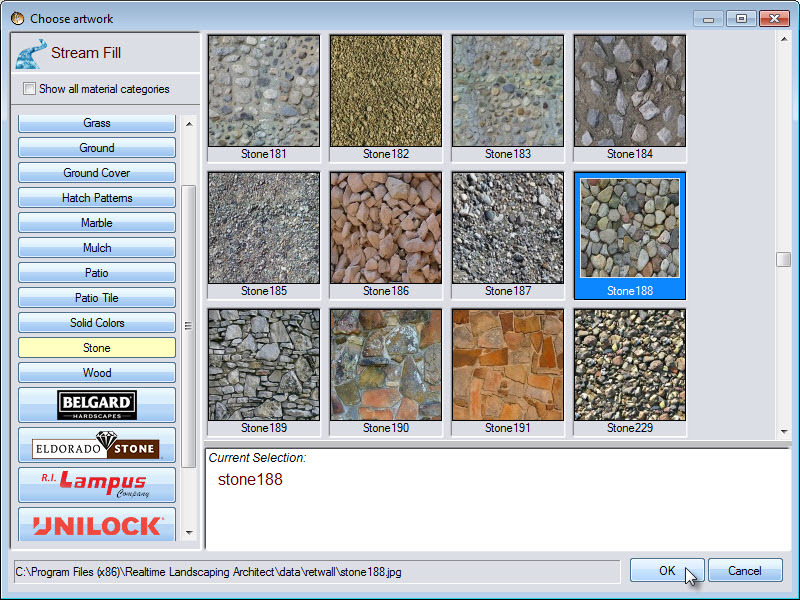 Left click again if you want to restore it. 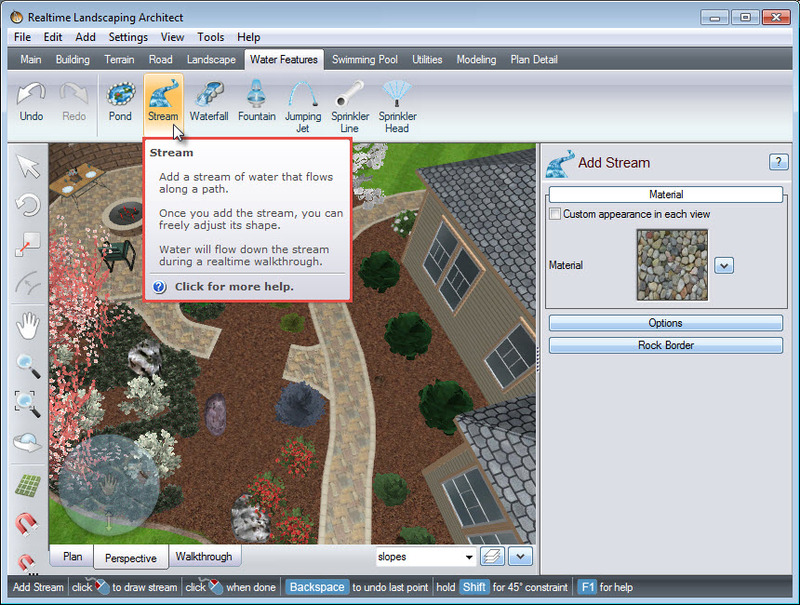 You have now completed adding a stream to your landscape design.